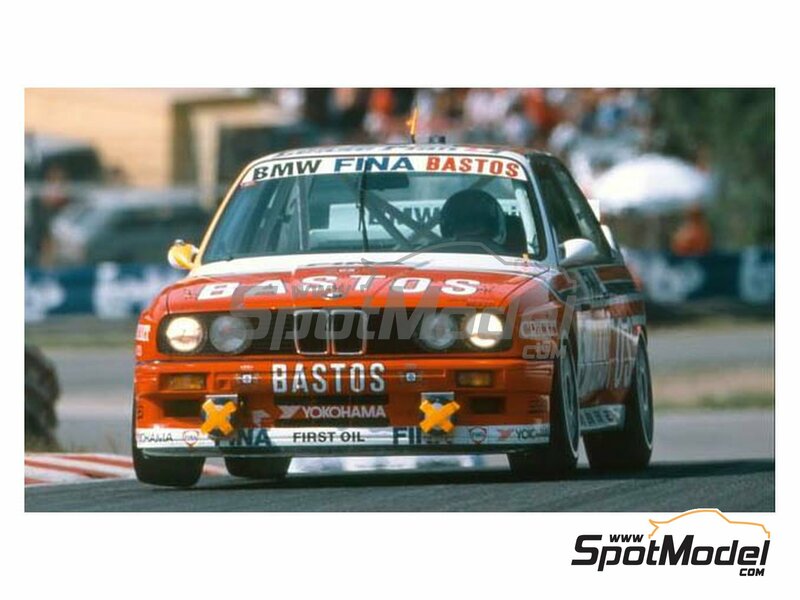 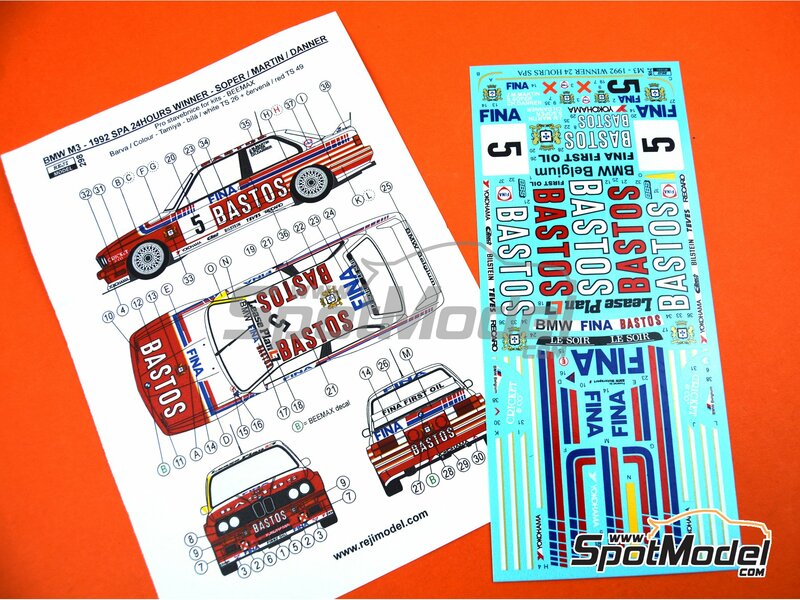 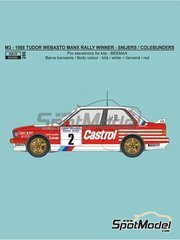 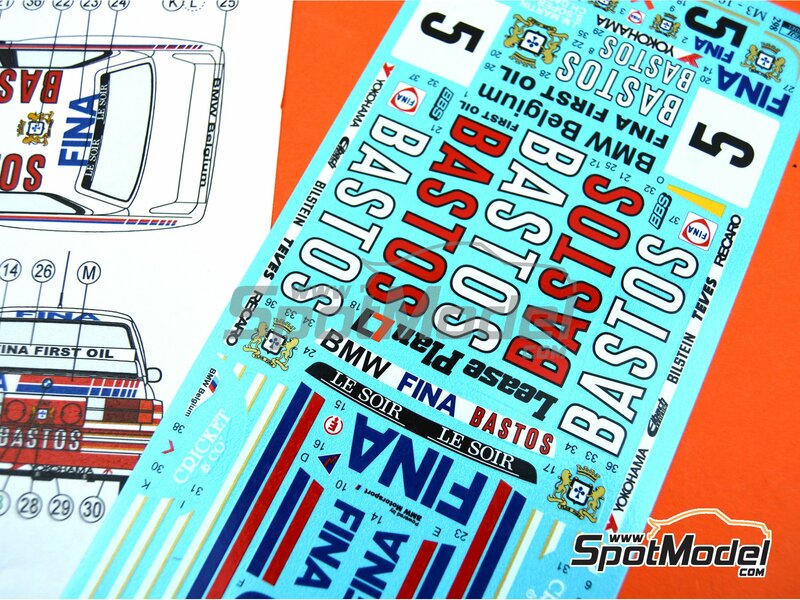 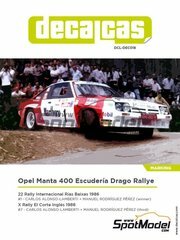 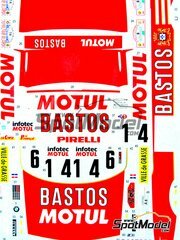 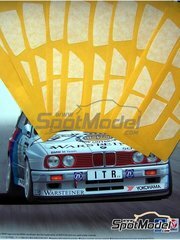 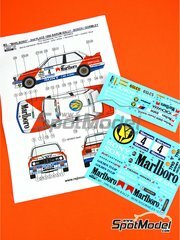 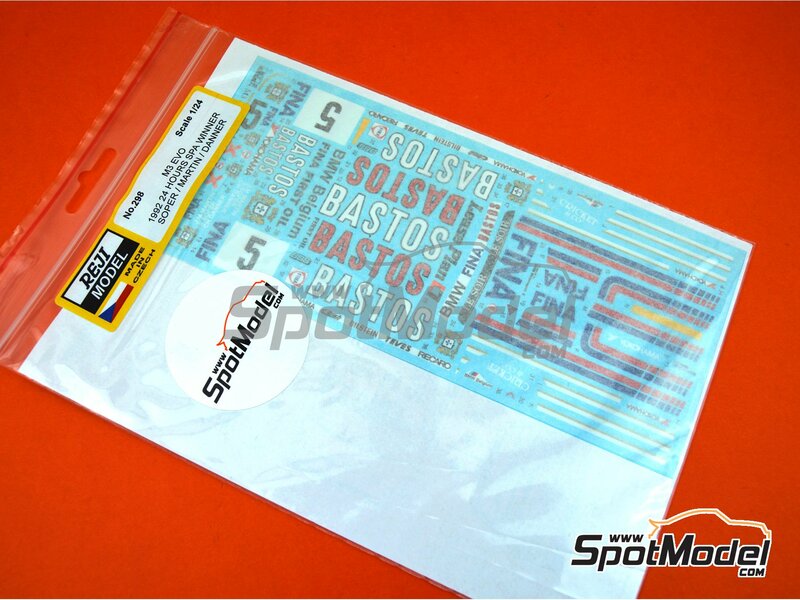 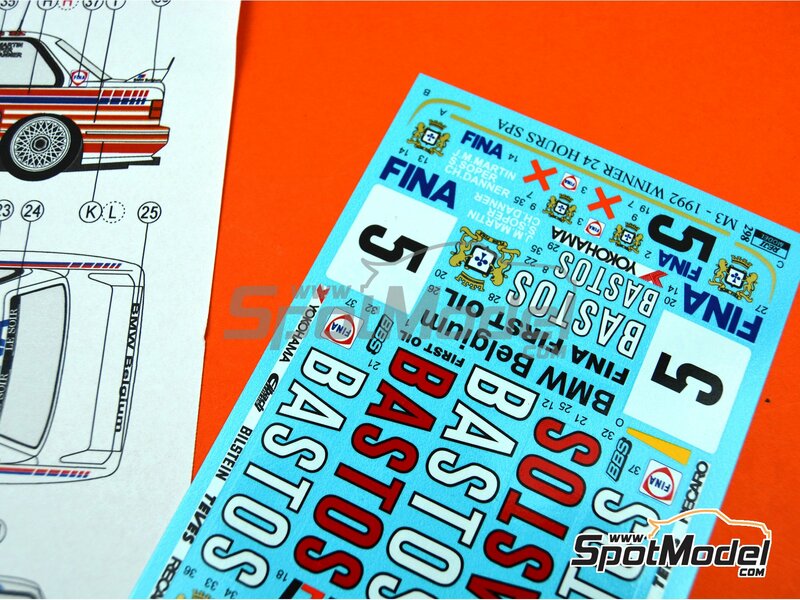 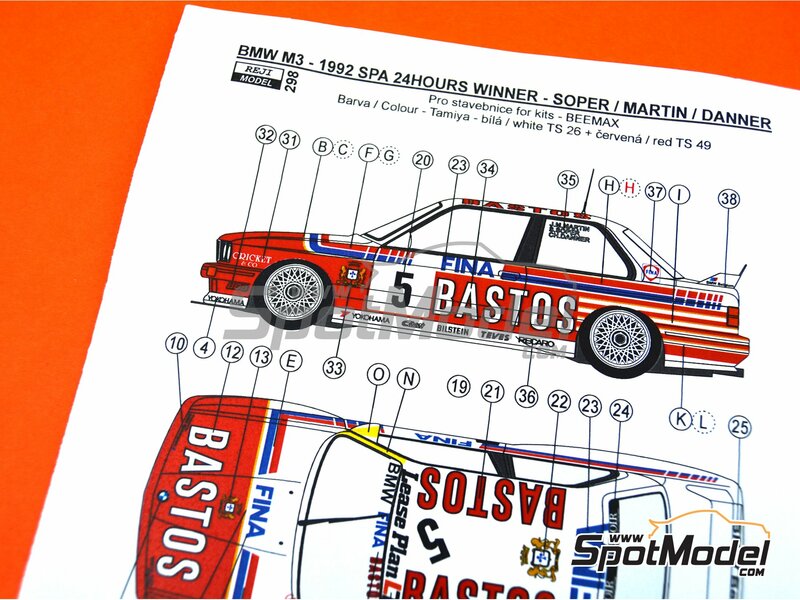 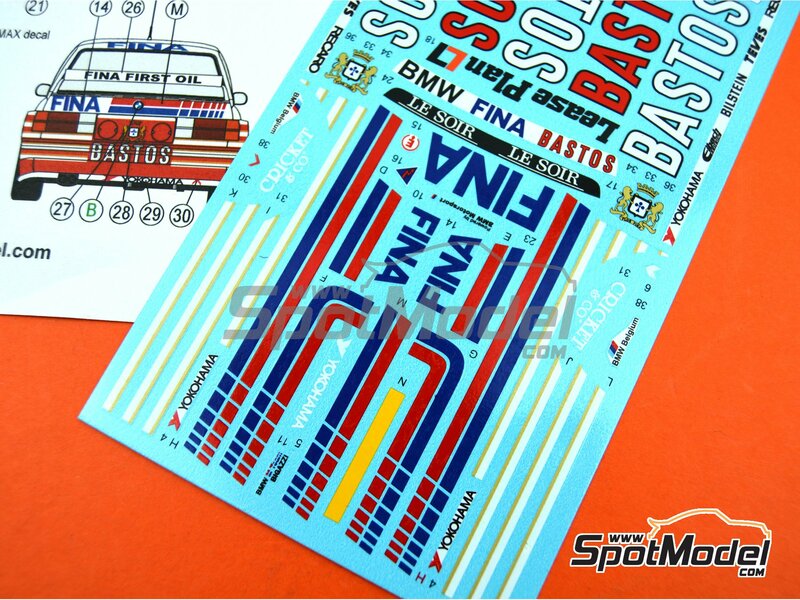 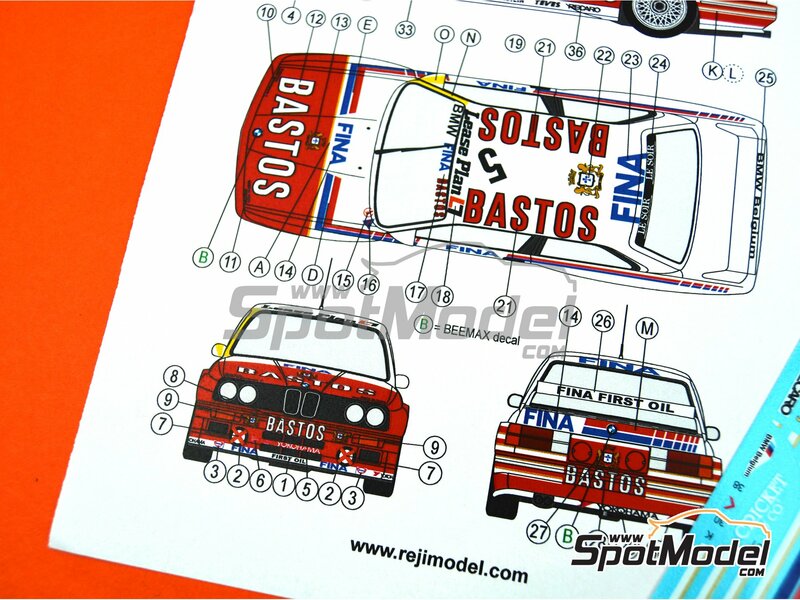 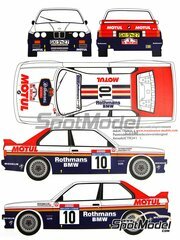 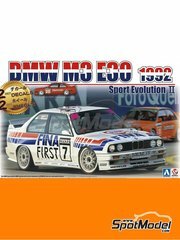 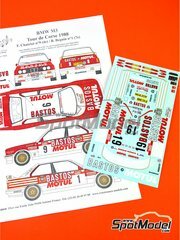 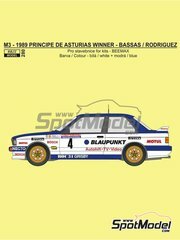 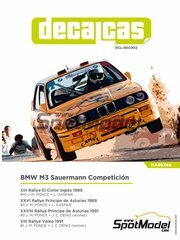 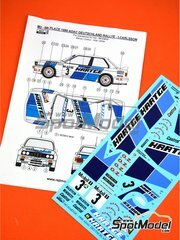 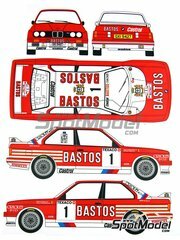 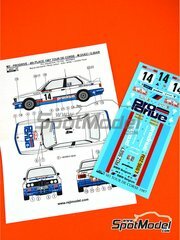 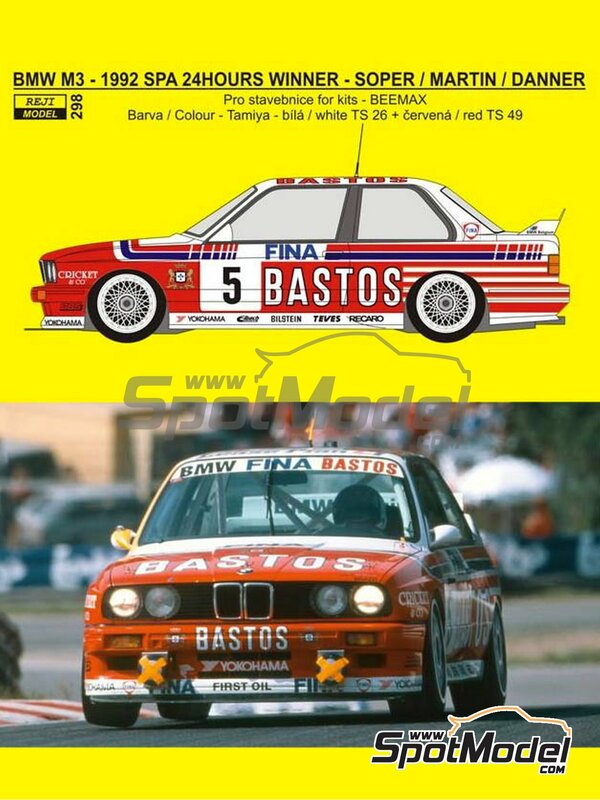 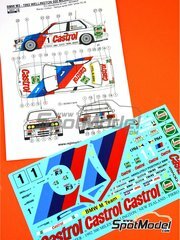 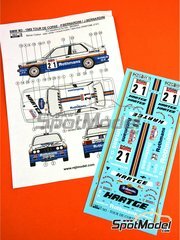 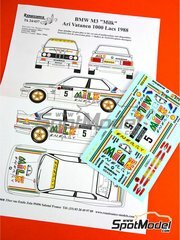 Decoration of the BMW M3 E30 sponsored by Bastos winner of the 24 Hours of SPA in 1992. 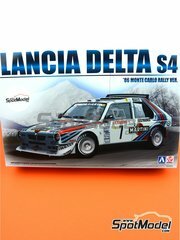 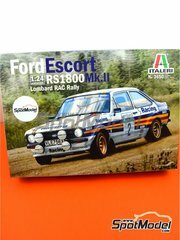 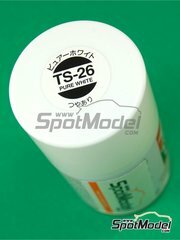 Manufactured by Reji Model in 1/24 scale with reference REJI-298 (also listed as 0298). 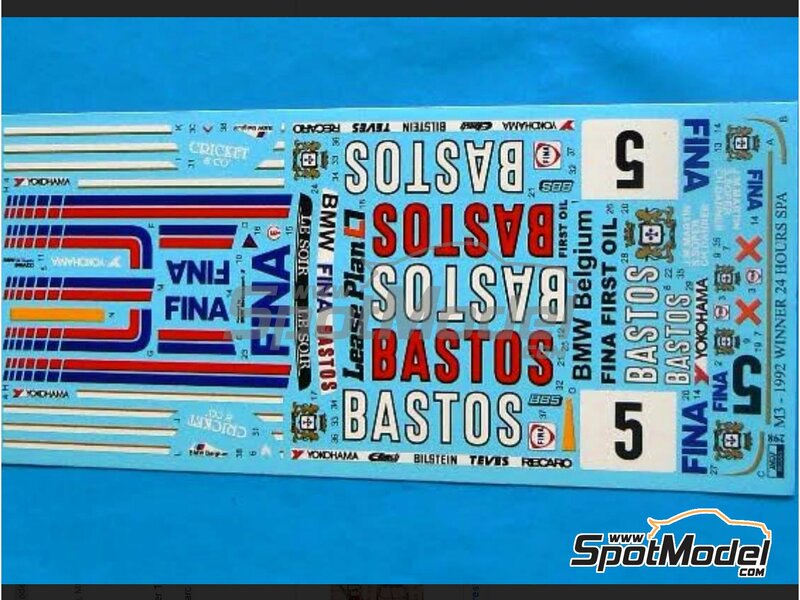 Sponsored by Fina Bastos Team. 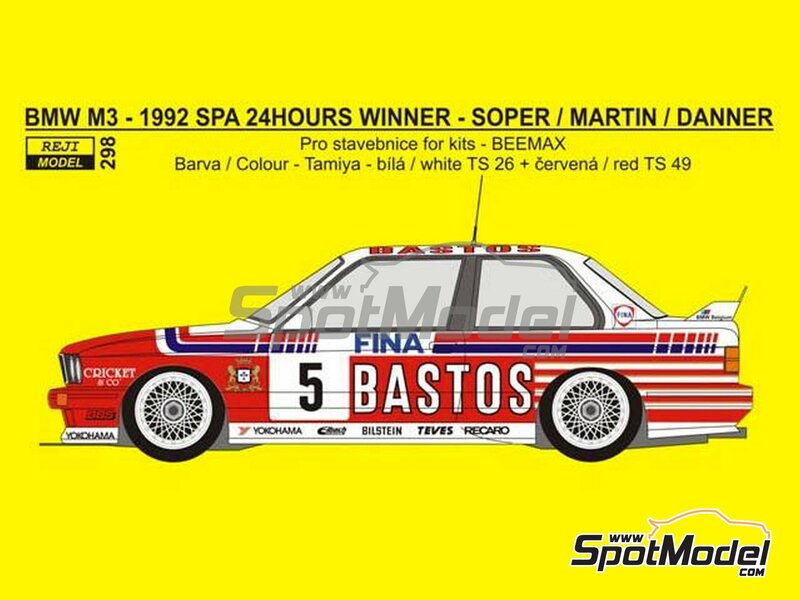 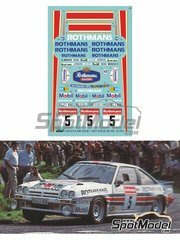 Raced at the 24 Hours SPA Francorchamps in 1992. 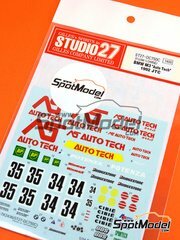 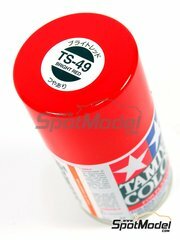 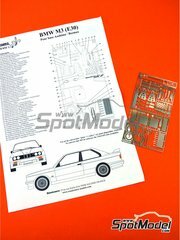 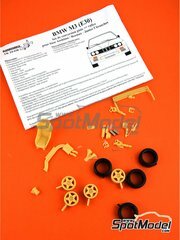 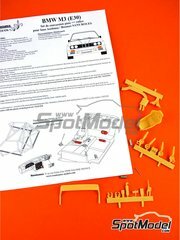 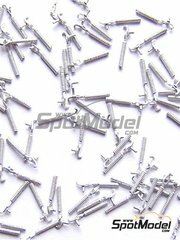 To be used with Beemax Model Kits references B24007, Aoshima 098196 and B24019. 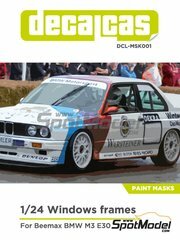 Featured in newsletters 334 and 347.